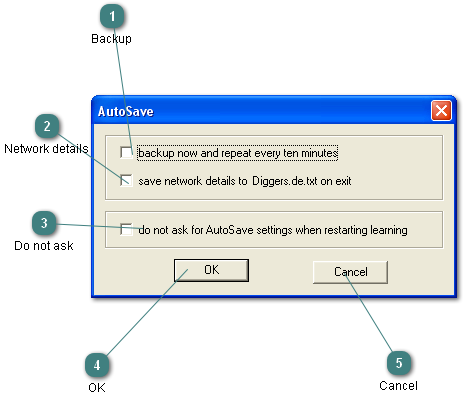 Check to backup the file every ten minutes while the network is learning. Check to save all details to the named text file on exit. Check to stop this dialog being produced when learning is started. Press to accept all settings and close the dialog. Press to reject all settings and close the dialog.